ScottsMiracle-Gro is relentless in our effort to find a product solution that is a win for the environment, consumers and business. Green waste recycling is an example of one solution, offering the opportunity to divert waste from landfills by incorporating it into beneficial new soil products. Our company is one of the largest green waste recyclers in the world, incorporating 5 billion pounds annually of woody and green biomass into our products. Our business teams also work together to find food waste––such as coffee, fruit and potatoes––that meets stringent criteria for inclusion in our products. 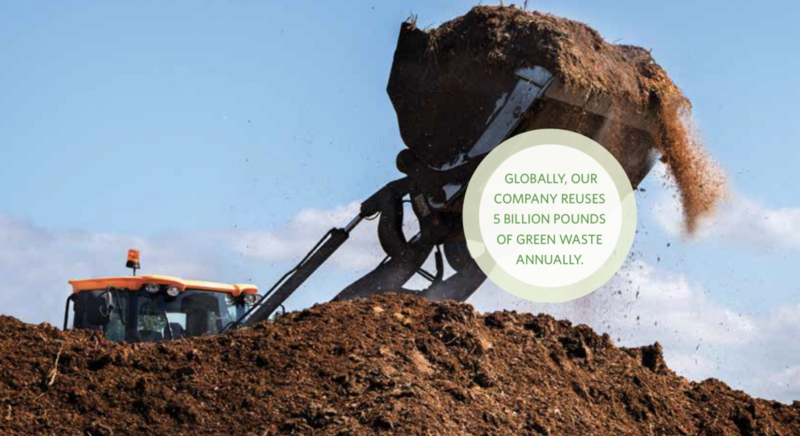 Learn more about our commitment to compost and recycling by viewing the most recent Corporate Responsibility report here.